Protect boards from dings and floors & walls from messy runoff and wear & tear. Designed to be installation-free and setup in seconds without drilling or wall damage. Portable solution fits in small spaces like garages, hallways, and board bags when on the road! New subscribers will receive an introductory 10% off coupon! 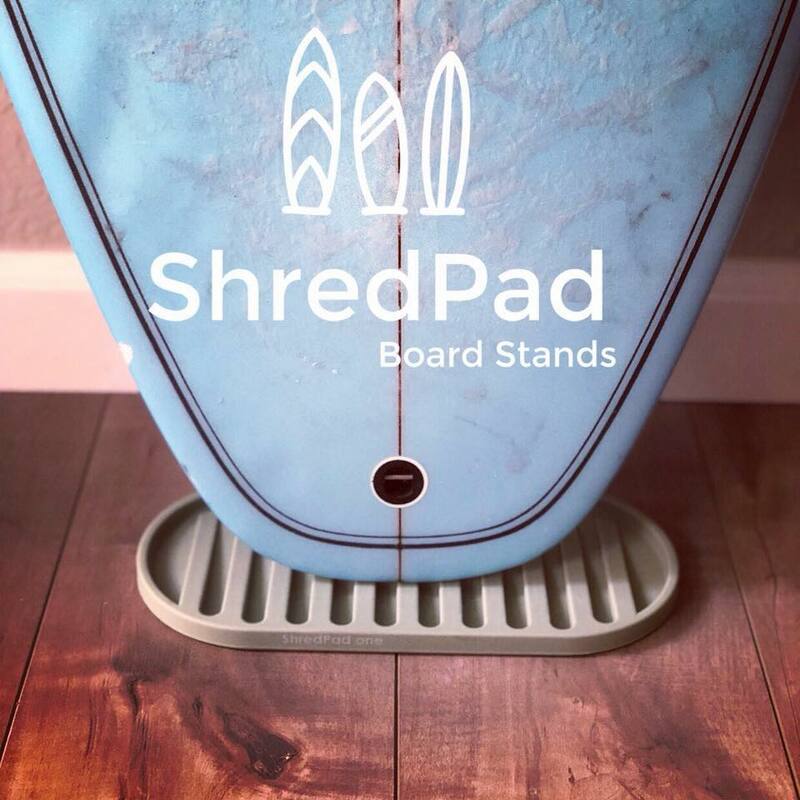 The perfect single board vertical wall rack and floor mat to protect, store, and display your surfboard, skateboard, snowboard/skis, wakeboard, and more! Easy setup! Stack multiple boards. Great gift for any surfer, skater, or boarder! Display new boards in the living room!